I am so sorry for neglecting my blog! I just didn't have the time to update it. I will be trying to have a quite long story right now, but if somebody's calling me, I will just update it was when they call me. I already can say you guys one thing: coming to Uppsala as an international student has been the best thing I have already done in my entire life! It is so nice to meet so many new people, to get to know a lot of different cultures and of course to receive invitations to go abroad when the 5 months will have passed. I can already go to Turkey, Texas and Perth! Oh Tuesday I will have my first lecture here, all in Swedish though. I will also have 2 exams where the questions will be in Swedish, but I can answer in English and use a dictionary. I will be a heavy semester, taking 30 ECTS credits for my courses in Leuven and an additional 7,5 ECTS for the Swedish language course AND an additional 7,5 ECTS for a course that seems very interesting: "Global Challenges & Sustainable Futures". Oh I also joined a nation: Snerikes nation. Snerikes is short for Södermanlands - Nerikes. But more info in my next update about this! Yesterday I saw Hilke and An, which means that the exchange students from Business and Economics in Leuven are complete now. It was great to see some other Belgians than my parents. Today I will move everything to my room, which really is a lot. 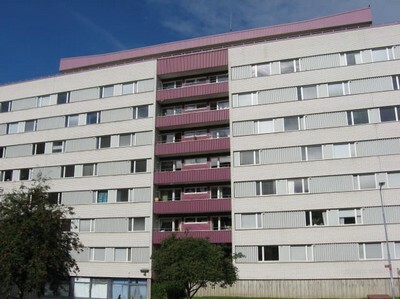 Tomorrow is the big day then: moving in and my first volleyball training here in Uppsala. Yes I did find a team to train with and maybe I could play also some league games with them. But that has to be decided elsewhere (concerning transfer troubles etc.). The team I will be training with is called Uppsala VBS and they play just under the "Elitserien", the top league here in Sweden. I am so excited! 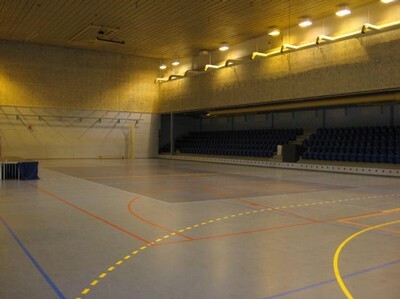 Just look at the training hall. I already told you a bit about yesterday, but I still have a lot more to tell you about it! I went together with my parents to Öregrund, a really pitoresk harbour village up north, about a 1h30 drive from Uppsala. We were really lucky going there yesterday. Last century Öregrund was known to be a great place to relax and yesterday there were all sorts of activities reminding about that period. Stockholm... what a city! One day is really too short to visit everything there is to see. 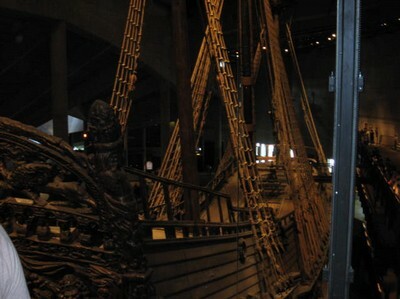 So we just went to the Royal Palace, which is really magnificent and the Vasa ship. If you can call it a "ship", since it sank after only 1300 metres. Oh well, it managed to sail for more than a km so that's already nice. No wonder that it sank, it is really so big. It's really becoming time that I ll get my bike (probably picking it up tomorrow) since my feet are tired of getting me from A to B, over and over again. Today I had to fill out a lot of papers, I was ca. 1h15 inside Guvå's office, and still not everything is ok. But after all it was a fertile day. Paid my rent, got my P-number (which is wrong, it says that I am born on January 3rd instead of the 9th, but after all it's just a number), applied for the Swedish language course (which makes that I will have a stunning 9 hours of college the first month ;)). Six more days and I will be all on my own. Looking forward to it. Yesterday was so hectic! First of all I went to the Ekonomikum to meet Tomas Guvå. He really is a great prof. I got my addmittance letter from him so that I could go to a bank top open an account. The first two didn't want me to open an account though, because I am only staying here for 5 months. What a stupid reason. After all I found one, but I had to get a residency permit. So off to the town hall (about a 10min walk). There they told me that it was not their job, that I had to go to the Immigration Office. Only problem: it's about a 30min walk (walking could be understand as almost running..). Once arrived at the office, I had to fill out a paper, wait about an hour and get back. Luckily it didn't rain. So after all, I got my account, even though it took me about 4 hours in total. And oh yeah, we also managed to get me a bike. Today I went to IKEA to get my pillow and quilt and we also had dinner there. It was the first time in my life that I entered an IKEA (shame on me indeed), but at least I did it in Sweden. Afterwards we went to Flogsta and I got my keys already! The room is really great. Pictures of it are on there way (check facebook! ), soon. 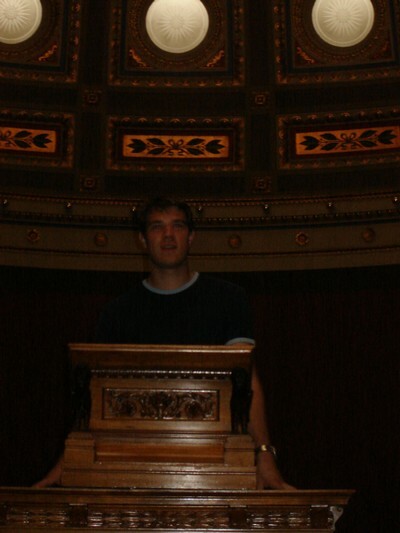 In the afternoon I also visited the Uni's main building, which has a really pretty auditorium! About tomorrow: visiting Stockholm then. I really am curious about it! 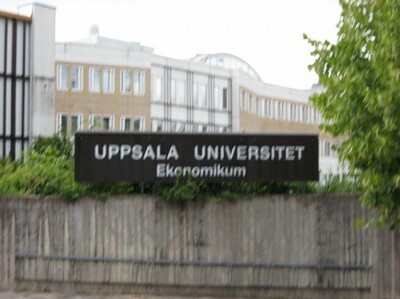 Well tomorrow is my first big day since my arrival into Uppsala. I will need to go to the Ekonomikum, the International Office, go to Swedbank opening a bank account... It's really an awful lot to do in just one day. Most of all I was getting stressed out about my study program here, but normally it will be fine. Tomorrow I will know for sure, i hope... Oh by the way, understanding Swedish, or just knowing what they say: how is it possible? When reading something I mostly know what it is saying, but understanding the talking: oh no!!! But I managed to order a waffle and a coffee with milk today in Swedish. I am kinda proud of myself. 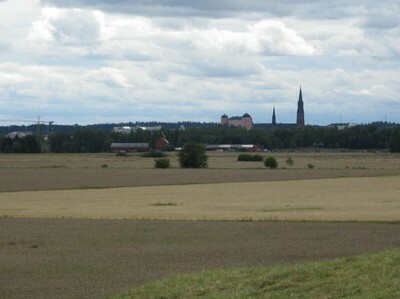 Today I went also to Gamla Uppsala (Old Uppsala). It's really great to see the old city, especially today since there was a show going on starring some Vikings. Another trip today was to Flogsta, where I will be staying soon. It really is a great building, but there was no one around today. This will change in September I think when we will be staying there with more than 3000 students. A message to everybody who thinks that Sweden has no hillclimbs: you are totally wrong. Going to the University librabry, to Uppsala Castle or to the University building there are climbs that are much longer and at least as steep as the famous Ramberg (friends from Leuven will know how this must be). Well at least my condition will improve here. 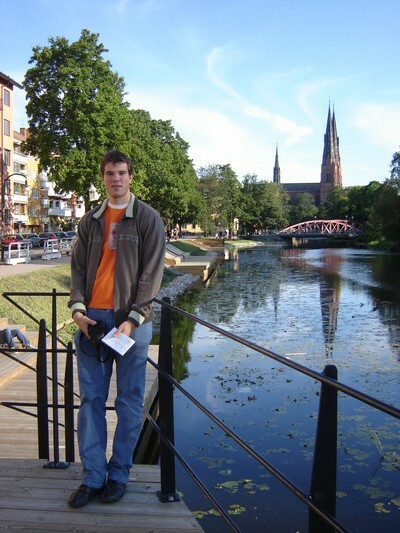 Today around noon I took my first steps in Uppsala! And what a city! Something I never experienced before. I also have my Swedish cellphone number, if you are interested in having it just ask. For everybody back home, my other number is still active as well. So if you want to text me, just send it to the number you guys have! So I also met Carole today, a really great girl and the best buddy an exchange student can imagine. I also saw the main university building today and of course the cathedral, which is really dominating Uppsala. I also took a walk to the Ekonomikum and tried to reach Flogsta, which is where I will be staying from the 18th of August onwards, but it really is too far to reach on foot, surely when you are already a bit tired. So what's next on the agenda? 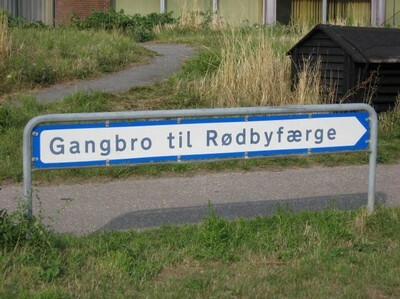 Going to Flogsta tomorrow, by bus or by car off course. I will also take a look at some bikeshops, they won't be open but at least I will know there location. Monday I will also be going to a bank, open an account there and off course going to visit Tomas Guvå, my coordinator here. Oh by the way, something to make you guys jealous: the weather is really fine to be so up north. And for the male gender: there are really a lot of blonde girls here! On the terras you see on the right we had dinner this evening. 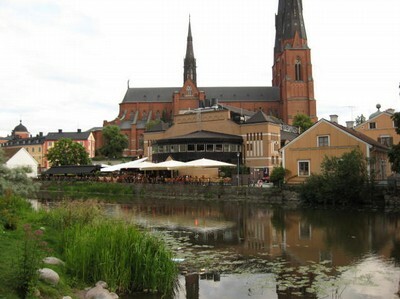 If you intend to visit Uppsala someday, go there! Not a lot to say about today. Oh but I do have some great news! I am in Sweden!!!! 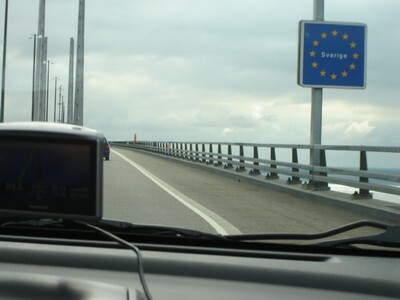 The Øresundsbron, that's the tunnel/bridge that we took to leave Denmark and enter Sweden was really impressive. 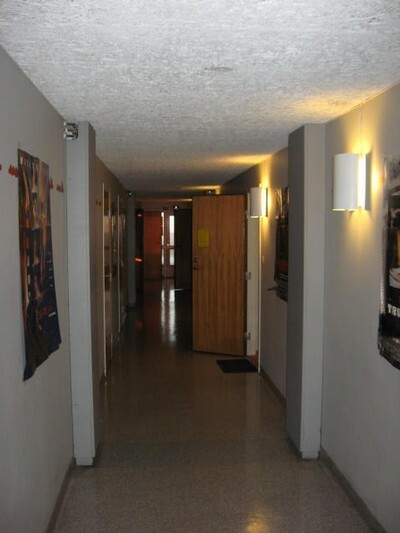 Proof: see the pictures beneath. Tomorrow is the big day, arriving in Uppsala. I am so curious and excited about all this, it is really hard to discribe. The landscape (could there possibly be more trees?) today was also very pretty, Sweden is really a country where I would want to live in later. The Swedes I have been in contact with so far are also very kind. This is it. Finally on my way to Uppsala. 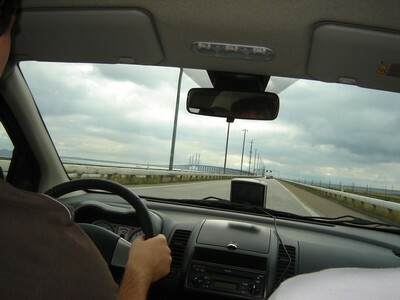 Today was the first day of our three day trip to Sweden. I saw four (!) 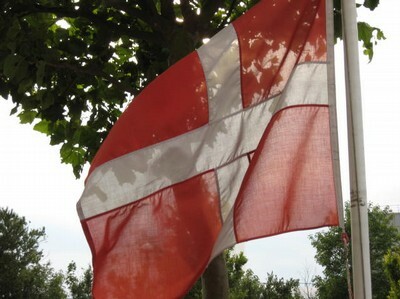 countries today: Belgium, The Netherlands, Germany and finally Denmark. This evening we will be staying for the night in Rødbyhavn, just in Denmark. Today was really exhausting: leaving my place at 5:20 in the morning, driving like this: Antwerpen - Duisburg - Bremen - Hamburg - Lübeck - Puttgaarden. In Puttgaarden we finally took the ferry to Rødbyhavn (which was really great). So arrival time: 16:15. Tomorrow we will be setting off at around 9:00, maybe sooner. The plan for then is: Rødyhavn - Copenhagen - Malmö - Helsingborg - Jonköping - Linköping. So I will be arriving in Sweden, finally!! I have been looking forward to this for so long!! And for now: it just feels great! But after all, I will miss you guys! See you next year ;). My goodbye tour, saying everybody "goodbye and see you in around 6 months" has started officialy. Yesterday I went to Leuven for the last time, saying goodbye to some friends, of which one asked me: I check your blog everyday, when will you write something on it again? 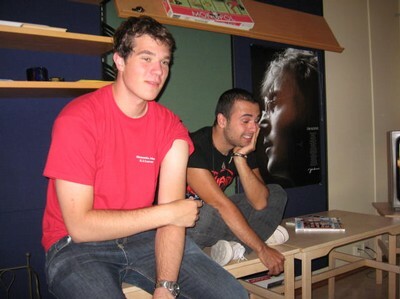 So here you are then =P. Today I did visit my grandparents, I really did spend a great day with them. Tomorrow I will have to say goodbye to my new team mates, and monday well: packing, packing and oh yeah... packing!! !